If there's one type of hunting that never gets old, it's varmint hunting. Hunting ground squirrels, sage rats and marmots in Oregon is probably one of the best ways to introduce a newbie to hunting in Oregon. These articles on varmint hunting Oregon can help get you there! The Rat Squeaker speaketh: Sage rat hunting in eastern Oregon. One study showed that a single sage rat will eat 14.55 pounds of alfalfa between green-up and the first cutting in June. The sage rat is an eating machine and when they are not eating, they spend their time making more sage rats. Females give birth to a litter of five to eight pups, which are sired by multiple males. Out in the flatlands east of beyond, the shoots of green grass are shouldering through the stubble. Down in their dens, the Belding's ground squirrels are astir. It won't be long before sage rats are perched atop their mounds in the spring sunlight. There are a lot of ways to deal with this pest of the agricultural pivot, this inhibitor of harvest, this purveyor of plague, but the most sporting method is with a rifle, a rest and a box of rimfire ammunition. The pines were planted in rows and trimmed up to chest height. To see for any distance we had to bend at the waist or kneel and peer ahead. We were on the edge of a hay field, about a quarter of a mile from fields of alfalfa and oats. Rabbit hunts are the same the world over. Just because we were in Chilean Patagonia didn't change the game. At a rocky outcrop, from a tangle of downed logs, two hares leapt up and streaked away, with their black tails down, their ears laid back, they ran like deer, but zigged and zagged like low-flying doves through the timber. We turned off the pavement and onto a gravel road and then turned left on another road that wound through stands of pine and oak. Tree roots stuck out into the dirt track and we bumped along, headed west toward Mount Hood shrouded in the clouds. Before there was a Highway 26 that crossed the Cascades at Mount Hood, there was a trail called the old Barlow Road. In 1846, Sam Barlow and Philip Foster carved a passage through the forest to allow covered wagons to cross the Cascades, bypassing the hazardous river route. A rockchuck sunned himself on a boulder, two hundred yards away. With a strong wind blowing from the south, it would have been a difficult shot with a centerfire rifle. The rimfire .22 I usually used was locked away at home. I would have to get within twenty yards to make a good shot with the bow I carried. As I watched, the ‘chuck fed out into the tall grass and then returned to his den. I had to act quickly before he reemerged. Taking three arrows from the quiver, I left the binoculars on the fence post and crawled along the fence line. There were three mounds between the ‘chuck’s den and where I was. Any one of these rock piles could contain a ‘chuck. For big game practice on a small scale, head east of the Cascades and hunt rockchucks, also called yellow-bellied marmots, in and around agricultural land. Rockchucks populations, without grain and grass irrigated and cultivated by humans, do not grow out of balance. They live in small groups and are kept in check by hawks, coyotes, foxes, and bobcats. But give a rockchuck an alfalfa field and life is good. In time, food becomes so plentiful that they don’t have anything left to work at except bringing forth offspring. Soon there are more rockchucks than a farmer can feed. Make a Hole in One! 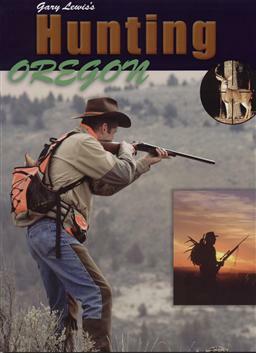 This time of year when snows are receding and spring is on the doorstep, the thoughts of thousands of Oregon sportsmen turn to the same thing. Golf! They’ll don a polo shirt, funny pants, a driving glove and shiny white shoes, then head to the links. The green of the grass, the puffy clouds against a blue sky and a little white ball driven from tee to green for 18 holes. Most duffers will be happy to hit par on a single hole, but a few lucky players will hit a hole in one. Jennifer was so far ahead with her studies I calculated she could take two days off from her school books to go on a ground squirrel shoot. At least that’s what I told her. What I didn’t tell her was that she was going to get lessons in economics, multiplication, addition and agriculture with American history thrown in for good measure. And a whole lot of triggernometry. “What I don’t get,” she said, “is why we need a guide. I mean, they’re just squirrels.” By this time, we were pointed east toward Burns and beyond. “We can probably get our guide to load the rifle for you,” I said. That seemed to satisfy her. The Belding’s ground squirrel has his faults. He likes it where the living is easy. Put an alfalfa field in his neighborhood and a young ground squirrel moves down out of the hills to live in the big green commune. Here, he finds everything he wants: a place to live; free food – cultivated by a two-legger on a tractor; an irrigation system; and recreation with the neighbors. Orchard grass or alfalfa. As goes the price of feed, so goes the price of beef and lamb and the cost to keep of course, a horse. According to Rick Byrd, of La Pine Feed, orchard grass is going for $10 an 85-pound bale these days. Alfalfa is running $18 for a 160-pound bale. Each year, the cost varies according to the supply and the demand. If the mule deer out in the fields near Silver Lake were any indication, demand is high. They streamed down out of the junipers to spread out across the fields in bunches of 20 to 40 animals between the irrigation wheel lines, nibbling at the green showing between last year’s dried-out stalks. They call alfalfa the ‘Queen of Forage.’ It is a legume that originated in Iran and today is planted all over the world. High in minerals, vitamins and protein, alfalfa has the highest feed value of all common hay crops. It’s low in fiber and high in energy. Just ask a Belding’s ground squirrel – he has lots of energy. He will answer with a trill or a whistle as he scurries back toward the tunnel. But he is the enemy of the queen. How Much Alfalfa Could a Rockchuck Chuck? Oxford American defines it to throw carelessly or casually, to give up, to resign, to touch playfully under the chin, to throw away. Both noun and verb, ‘chuck’ is also slang for food. Directly beneath chuck are chuckhole, chuckle, chug, chukka and chukker. In case you have not cracked a dictionary lately, chukka is a boot and chukker is not a bird, it is a period of play in polo.